WOW! A must see to believe! An IDEAL FLORIDA HOME in an EXCELLENT Location! MAINTENANCE FREE - 2 CAR GARAGE - TOWNHOUSE, amenities + front lake access, boat slip/dock to LAKE MINNEOLA! Walk, jog or bicycle the Clermont-Minneola Trail right from your front door; or boat, fish and water ski. The Yacht Club is GATED with PRIVATE ACCESS to LAKE MINNEOLA and Connected Chain of Lakes. 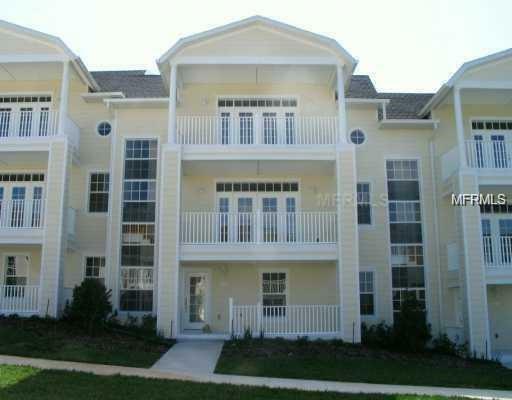 This luxurious 3 story town home has a 2 car garage at the kitchen level, for easy unloading of groceries, etc. The extraordinary Florida Lifestyle will take your breath away. Enjoy a rich spacious Kitchen with mahogany 42" cabinets - easy to entertain. Adore privacy and luxury as the Master bedroom and Master bath completes the ENTIRE TOP FLOOR with over-sized whirlpool, separate walk-in shower, 2 HUGE walk-in closets, laundry room + an adjacent office or nursery with bay window. Lavish in breath-taking SUNSETS, with FRENCH DOORS on both second and third floor balconies, bringing nature to your fingertips. LOWER LEVEL is fully equipped with 2 bedrooms, family room, full bath and 2nd laundry set to host guests or as a Mother-in Law suite. You are only a short drive from enjoying the night life of downtown Orlando, Disney & other attractions. This property is MAINTENANCE FREE! Community AMENITIES INCLUDE: A 2 story club house, gated entrance, community pool, and boating dock. Clermont Yacht Club is the essence of what Florida life style is all about. Its a rare gem, come and experience it!